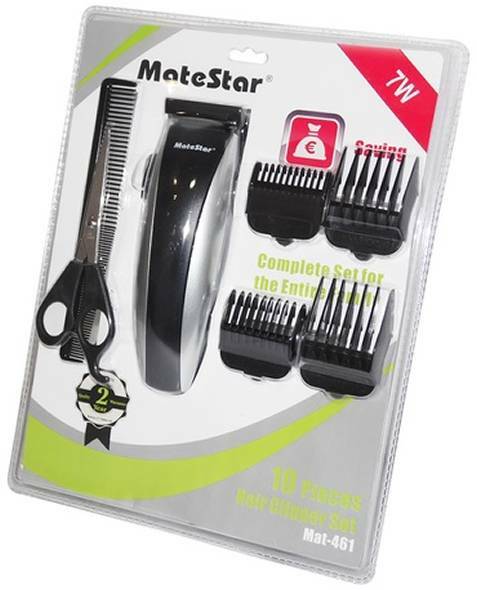 Hair clipper in amazing price. Complete set for the entire family. Ideal for all hair styles and lengths. 4 attachment combs (3, 6, 9, 12mm). Accessories: barber comb, cleaning brush, scissors, lubricating oil.